Hiya guys! You know that feeling when you are so excited you can't help but do a little happy jiggle? That's me right now, haha. Bouncing and jiggling all over the place. I'm doing sharing something a bit different this afternoon and it's actually a segment I wanted to partake in for months. Nail care related-ish. Okay enough beating around the bush. Today I'm sharing my review on the Base Coat and Quick Dry Top Coat from Smokey Mountains Lacquers. I've been testing both of these products for the last month or so using it exclusively for all my swatching in the month of June. Please note that unlike the nail polishes under this brand, both of these are 3-free not 5-free. Without further ado, let's go ahead and get started! 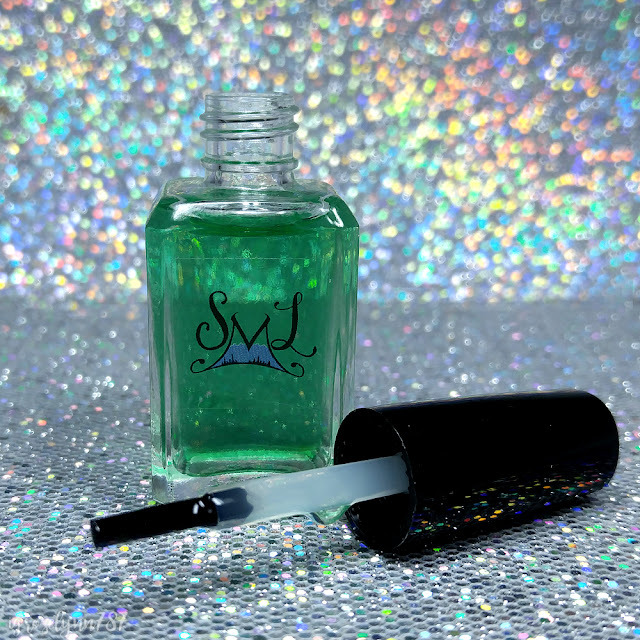 The Base Coat and Quick Dry Top Coat by Smokey Mountains Lacquers were released last month on Friday June 2nd at 7PM CST. This released along side the Greek Goddess Collection, which I have reviewed for you guys as well. Each full-size 15mL bottle will retails for $8 and will be sold individually. I'll be the first to admit that I am not good about wearing base coats during long swatch sessions. Mostly because I cannot stand the long dry times, when you gotta swatch you need to work quickly. But I was pleasantly surprised by how fast this dried clocking in just under two minutes. Still not as fast as I would ideally like, but not terrible compared to some others I have tried in the past. It felt smooth and thin on my nails not adding any bulk, which is exactly what you want in a base coat. Also I found that it protected my natural nails against known stainer blue polishes. All in all I'm definitely a fan of this base coat and will continue to use it outside long swatch sessions. 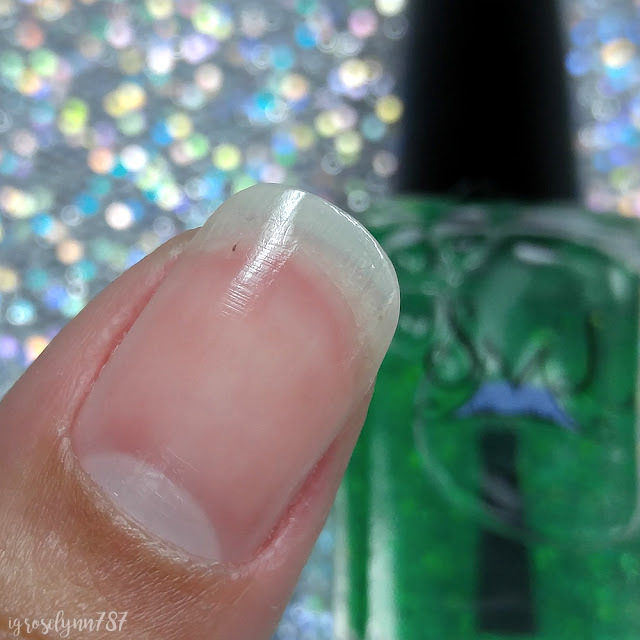 Smokey Mountain Lacquers - Fast-Drying Topcoat. 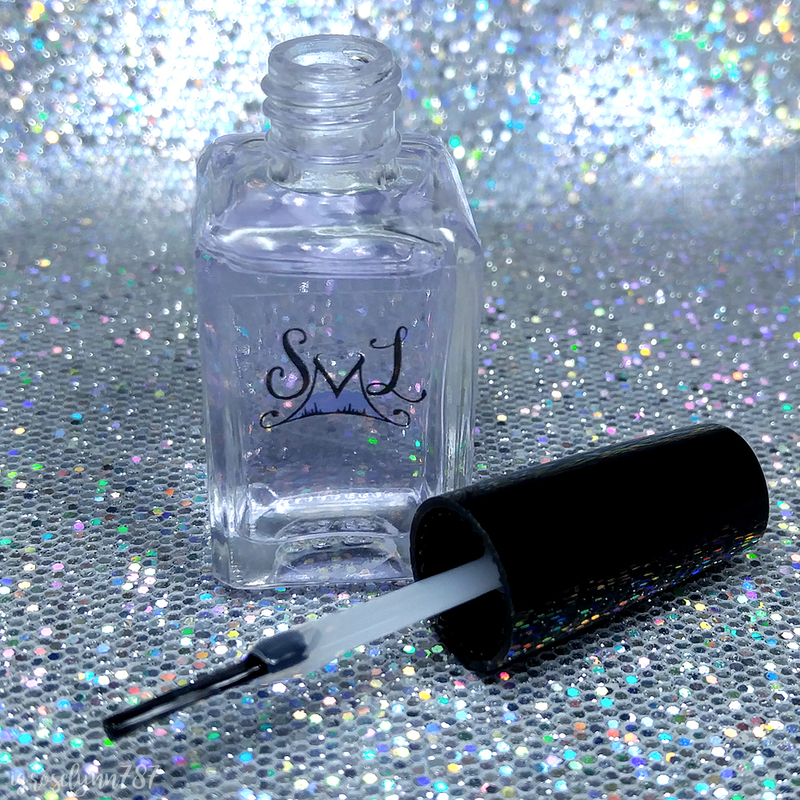 As you may or may not know I am a big fan of using Seche Vite topcoat and have been for years. So it's definitely hard to sway me from my go-to, but this one did hold up decently. Much better than I expected it to. At the half way point in the bottle I did notice the topcoat thicken quite a bit. I added some thinner and it has worked well so far and I'm maybe six uses away from finishing the bottle. Over a cream finish it dries smoothly in just under 3 minutes (timed) with one coat. Over a holographic finish I found it to dull out the holo effect minimally. Needed just one coat for a smooth shine. Over a shimmer finish it worked very nicely and again just one coat needed for a high-gloss shine. Over a glitter/crelly finish it worked well enough but did need two coats in order to lock down the glitters and give it a smooth finish. 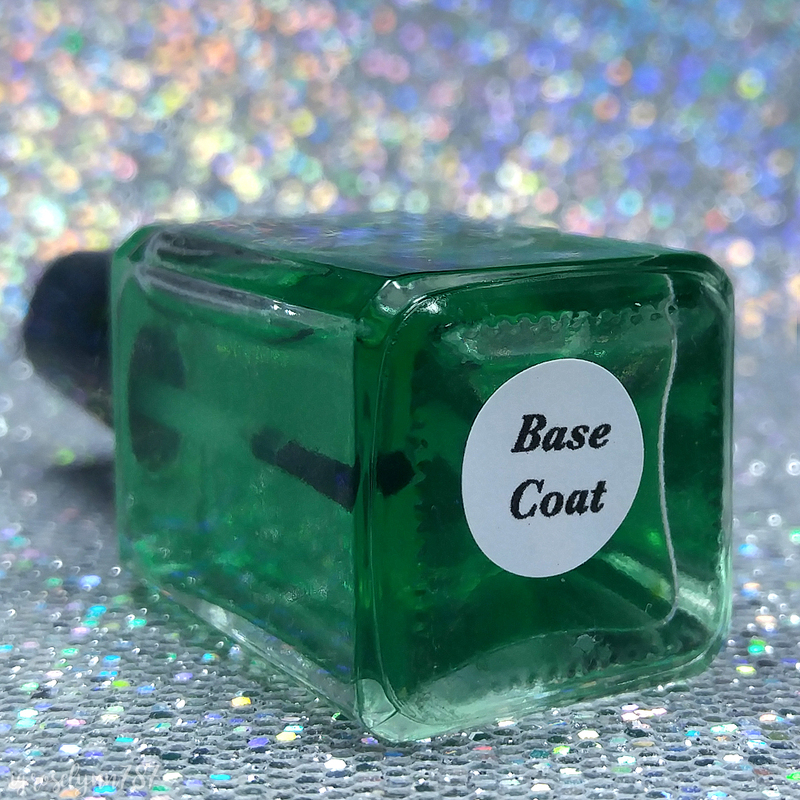 To recap, the Base Coat and Quick Dry Top Coat by Smokey Mountains Lacquers were released last month on Friday June 2nd at 7PM CST. Each full-size 15mL bottle will retails for $8 and will be sold individually.